If you have bought our wonderful new craps tables, you are well aware of the quality of the products GTC produces. Our brand new two-disc GTC DVD is now ready. 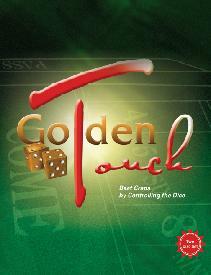 The Golden Touch Dice Control DVD is a superior, professional product in every way. It is two discs of information and it is loaded with visuals. There are over 200 shots shown in the DVD from all angles - front, side, back, tabletop; plus landings, bounces, back-wall hits. There is also excellent slow motion footage too so you can actually see how the dice hit the back wall and land. Some shots go right into the camera from head on. Wow!